Concerns intensified during a conference call with reporters during which Facebook acknowledged an alarming addendum to their original statements. Not only did the attackers obtain access to Facebook accounts, they also acquired access to any other service affected users had registered for with their Facebook credentials. This includes a larger number of popular apps and services - including Pinterest, Spotify, Airbnb and Tinder - drastically increasing the potential impact of the hack. Facebook initially announced that it was unsure whether this had actually occurred because the company was still in the early stages of its investigation. To ease users’ concerns about their vulnerability, Tinder opted to conduct its own investigations into the hack’s potential to affect its platform. The company said on Monday, October 3, that it had found "no evidence to suggest accounts have been accessed based on the limited information Facebook has provided." It added that it would be "very helpful" for Facebook to share a list of users affected by the breach. It’s good news, but it doesn’t sound like Tinder is entirely convinced the matter is settled. The company appears to be leaving the door open for further revelations from Facebook that tell a different story, and intends to remain alert for signs of a breach. 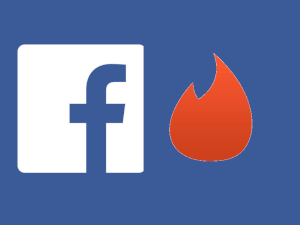 "We will continue to investigate and be vigilant — as we always are — and if Facebook would share the affected user lists, it would be very helpful in our investigation," a Tinder spokesperson said in a statement. A Facebook spokesperson has since said the company is “preparing additional recommendations for all developers responding to this incident and to protect people going forward." To find out more about these dating services you can read our Facebook Dating and Tinder App reviews. Yeah and that great big push for us to provide our phone number to supposedly prevent this was why? Only goes to prove Tinder was full of $hit.